Sarcastic, foul-mouthed, and somewhat sleazy sellsword Bronn (Jerome Flynn) made his return to the series in the season eight premiere of Game of Thrones, and judging from his sole scene in the episode, his friendship with Jaime is likely going south . . . OK actually it’s going North, but anyway. While spending some, um, quality time with a few women in a brothel in King’s Landing, Bronn is interrupted by Cersei’s shady Hand of the Queen, Qyburn. 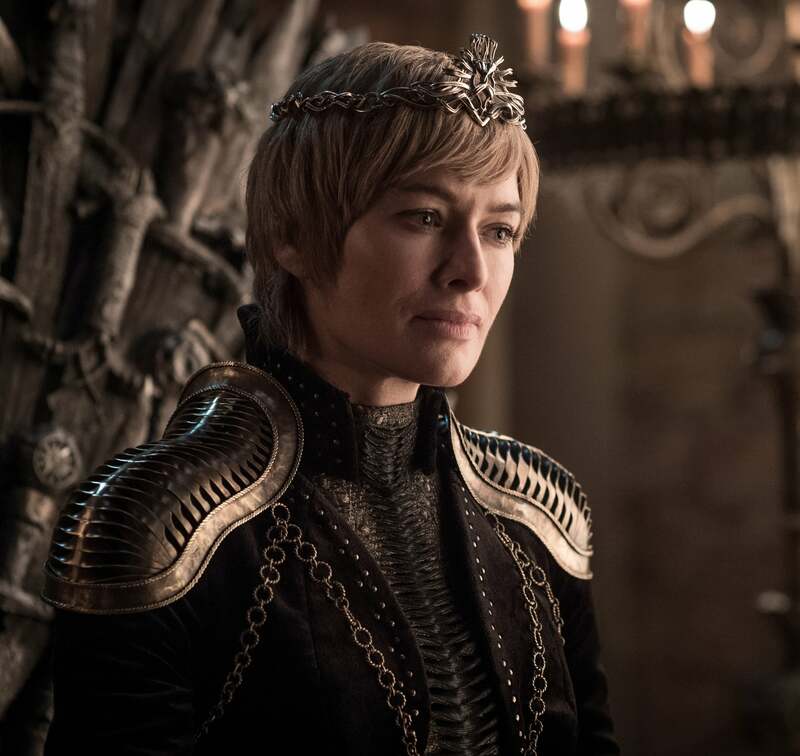 Apparently, Cersei has a very specific (and twisted) request for Bronn: she wants him to go to kill her brothers, Jaime and Tyrion. Oh, and to really make the betrayal sting, she wants him to kill them with the crossbow that Tyrion used to kill their father, Tywin. As you might recall, way back in season four, Tyrion is put on trial for the murder of his nephew, King Joffrey, even though pretty much everyone in his family knows he didn’t do it. Despite that, Tywin still sentences his son to death (Tyrion chooses a trial by combat, but his champion, Oberyn, is defeated and killed by the Mountain). Luckily Jaime can’t bear to watch his brother die, so he frees Tyrion from his cell, telling him that Varys will help him escape the city and flee to Essos. However, Tyrion makes a quick detour to the Tower of the Hand to confront his father. Tyrion enters through a secret passage and discovers Shae in his father’s bed chambers; they struggle and he ends up strangling her to death (for what it’s worth, he’s instantly regretful). He then grabs Joffrey’s crossbow off of the wall and corners his father in the bathroom. Tywin calls Shae “a whore” multiple times and is generally dismissive of his son, earning an arrow in the stomach. Tywin lashes out, saying, “You are no son of mine,” just before Tyrion shoots him a fatal, final time. He’s reluctant, but Qyburn seems to sway his mind by noting how handsomely Cersei rewards those of whom do her big favors. “What would she do for the man who rids her of her treasonous brothers?” he muses. So, will Bronn kill Jaime and Tyrion? Previous Game of Thrones: Exactly How Old Are Arya and Gendry?